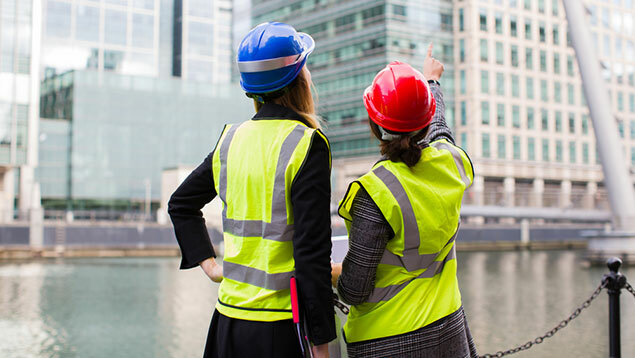 The UK’s five leading construction companies by turnover have used the publication of their gender pay gaps to highlight initiatives designed to increase the numbers of women entering the industry and improve the career prospects of women already working for them. Overall, the construction sector has one of the worst median gender pay gaps at 25%, according to figures published on the Government’s gender pay gap portal, and the reporting deadline comes a month after a survey found that women were missing out on promotion in the industry. Of the top five construction companies, Balfour Betty and Morgan Sindall recorded median gender pay gaps of 33%, the widest of the sector leaders. But considering the industry is widely recognised as male-dominated, the figures might have been expected by some to be worse. In banking, for example, JP Morgan has a median gap of 54% and in travel Ryanair has a 72% gap. According to a report by multinational HR firm Randstad last month, 75% of construction industry employees passed over for a more senior role were women. It calculated that women were three times more likely to miss out on promotion in the industry. Randstad’s survey of 5,500 construction workers and 540 employers reported that nearly half of those questioned (49%) had never worked with a female manager. Office for National Statistics figures suggest there are currently 29,000 job vacancies in the construction sector. With Brexit nearing, Randstad pointed out, it was likely that this shortage of skills would grow, which implied that women remained an untapped source of employment by the sector. When measured by turnover the top five construction firms in the UK are Balfour Beatty, Kier Group, Interserve, Morgan Sindall and Amey UK. Although the Randstad report found that 43% of organisations in the sector did not actively monitor pay equality, many of the leading employers are actively seeking to recruit more women into senior roles. Kier, for example, is looking to increase its female intake and aims to establish a 70:30 male-female gender split at graduate level. Interserve has moved to a system of diverse recruitment shortlists and says it tracks gender balance in its headcount data and succession planning. Its report also refers to how the company is working towards attracting women to roles that have previously been identified as male-dominated. Balfour Beatty’s pay gap report describes its partnership with education providers to boost uptake of STEM subjects in schools to attract more recruits into construction. It also has a three-year plan involving mentoring and unconscious bias programmes to encourage more women to join the company and seek career progression. Amey, similarly, has launched a STEM ambassador scheme to visit schools to inspire young women and has collaborated with youth groups such as the Girlguides. Its in-house initiatives include a Women at Amey network supporting women in engineering roles. Morgan Sindall’s report acknowledges there is no quick fix to the gender pay gap but, in addition to commitments to promote construction in schools and promote diversity in its talent pipeline, has launched a scheme to support women after returning from maternity leave. Chief executive of Morgan Sindall, John Morgan, said the group was “committed to addressing this pay imbalance and achieve a year-on-year reduction in our gender pay gap”. Actually my experience has been that Amey do not support their women. As I woman I asked for over 2.5 years if I could do a masters and I was ignored by management.